"SmartAction is an amazing company! They are very supportive and collaborative with our requests." 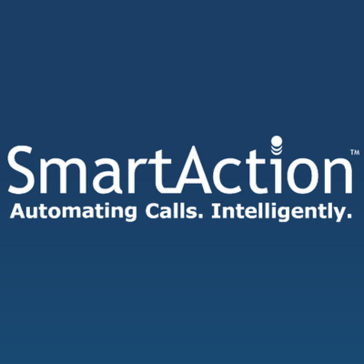 SmartAction is an amazing company to collaborate with. They have the ability to deliver an out of the box solution and/or customize a product for most customer service needs. We have used them for multiple product implementations and they have been nothing but supportive in both design and implementation. SmartAction is really good at designing and adapting to the business needs, but since most of our build outs have been custom we have had a little lag in getting KPIs to help support the original business tool rollout. Self Service for North America Chat and Voice. * We monitor all SmartAction reviews to prevent fraudulent reviews and keep review quality high. We do not post reviews by company employees or direct competitors. Validated reviews require the user to submit a screenshot of the product containing their user ID, in order to verify a user is an actual user of the product. Hi there! Are you looking to implement a solution like SmartAction?